Welcome to inspires online – the electronic newsletter of the Scottish Episcopal Church. Inspires online highlights news and events from across the Church and includes news from organisations related to the Scottish Episcopal Church. 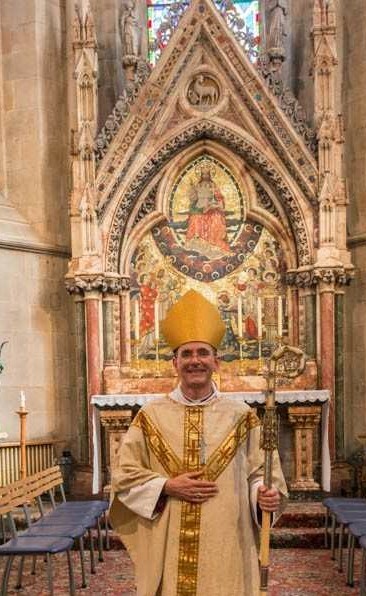 The Very Rev Andrew Swift was consecrated and installed as the new Bishop of Brechin in St Paul’s Cathedral, Dundee on Saturday 25 August. Ahead of his consecration, the Bishop Elect spoke to The Courier newspaper - you can read his interview here. The service was streamed live and a video recording can be watched here. “On 30 August I had great pleasure in attending the annual interfaith and ecumenical dinner in celebration of Eid al-Adha. The Invitation to the event comes from the Scottish Ahlul Bayt Society, and draws together people of faith who work within the communities of Scotland. “Often we hear about multiple and diverse religious voices commenting on political decisions, on matters of religion and of the difficulties in our society. Those voices can sometimes seem conflicted and therefore having the opportunity to sit together at events such as this annual dinner and to listen to each other helps strengthen our understanding of one another’s expressions of faith and of our shared love of God, enabling us to explore ways in which we can help work towards a more tolerant society in which we can all play our part in safety and with respect. 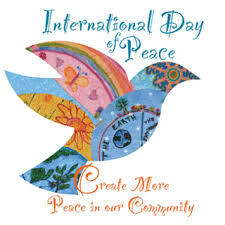 “Representatives of church denominations and other faiths all sat at mixed tables, we listened to speeches that gave messages of hope; I spoke of the Love of God as an antidote to hatred. During this time together we were very aware of the recent attack on the Sikh Temple and Methodist church here in Edinburgh. This heightened an awareness that others might not be so keen on us all being together and would want to thwart the vision for a diverse and tolerant society in Scotland. A number of the General Synod’s Committees are currently seeking new members. If you are interested in serving the Church in this way or would like further information please contact the relevant member of staff as detailed below. The Committee is responsible for overseeing the performance of the Scottish Episcopal Church (SEC) Unit Trust Pool. It meets two or three times a year with the Church’s Fund Managers to review performance and to discuss matters of policy. Membership of the Committee is suited to individuals with an active involvement in the investment industry. Much of the Committee’s work is concerned with the oversight of the Church’s stock of about forty properties occupied by retired clergy. The Committee aims to have a mix of clergy (either serving or retired, who are beneficiaries of the SEC Pension Fund), clergy spouses / civil partners (or widowed spouses / civil partners) and others with an interest in the welfare of beneficiaries of the SEC Pension Fund. Given its focus on housing matters (including considerations of the needs of ageing and infirm tenants) individuals with relevant knowledge and experience are particularly welcome. The Committee normally meets three times a year. The Mission Board has submitted a response to the Human Tissue (Authorisation) (Scotland) Bill questionnaire from the Scottish Parliament. You can read the Board’s response here. Twenty Church leaders, including the Most Rev Mark Strange, Bishop of Moray, Ross & Caithness and Primus of the Scottish Episcopal Church, have called for an end to the hostile environment in an open letter to the Home Secretary, Sajid Javid MP. The hostile environment is the web of government policies designed to make life so difficult for people who cannot prove they have the right to live in the UK that they will choose to leave. The Church leaders argue that the destitution deliberately inflicted by the government is ‘inhumane’ and that it leads to racial discrimination. They ask the Home Secretary “to seize this opportunity and to adopt an approach to immigration that treats every individual, whatever their status, with humanity, dignity, respect and fairness”. The letter in full can be read here. Rev Eleanor Charman will be ordained Deacon by the Most Rev Mark Strange, Bishop of Moray, Ross and Caithness at St Andrews Cathedral, Inverness on 15 September 2018. She will be appointed Curate at St John the Evangelist, Wick and St Peter and The Holy Rood, Thurso. Rev Dr James Clark-Maxwell will be ordained Priest by the Rt Rev Dr Gregor Duncan, Bishop of Glasgow and Galloway at St John the Evangelist, Dumfries on 23 September 2018. Rev Ollie Clegg will be ordained Deacon by the Rt Rev Dr John Armes, Bishop of Edinburgh at St Mary's Cathedral, Edinburgh on 30 September 2018. He will be appointed as Associate Minister and Director of Evangelism at St Mungo, Balerno. Rev David De Verny was appointed Priest-in-Charge at Church of the Holy Rood, Carnoustie on 28 July 2018. Rev Jacqueline du Rocher will be ordained Priest by the Rt Rev Dr John Armes, Bishop of Edinburgh at St Mary the Virgin, Dalkeith on 20 September 2018. Rev Yousouf Gooljary was appointed Rector at St Martin of Tours, Edinburgh on 17 July 2018. Mr Lee Johnston will be ordained Deacon by the Rt Rev Dr Gregor Duncan, Bishop of Glasgow and Galloway at St Mary's Cathedral, on 30 September 2018. He will be appointed Curate at Christ Church, Lanark. Rev Jonathan Livingstone will be ordained Priest by the Rt Rev Dr Gregor Duncan, Bishop of Glasgow and Galloway at St Mary the Virgin, Hamilton on 26 September 2018. Mr Andrew Philip will be ordained Deacon by the Rt Rev Dr John Armes, Bishop of Edinburgh at St Mary's Cathedral, Edinburgh on 30 September 2018. He will be appointed Curate at St Marys Cathedral, Edinburgh. Rev Grace Redpath will be appointed Associate Priest at St Andrew, Kelso on 14 October 2018. Rev Paul Sawrey was appointed Associate Rector at St Pauls and St Georges, Edinburgh on 26 August 2018. Rev Dr Jenny Wright will be appointed Associate Rector at Christ Church, Edinburgh on 6 September 2018. Rev Dr Stephen Holmes will resign as Associate Rector at St John the Evangelist, Edinburgh on 11 October 2018. He will be moving to Cornwall in the Diocese of Truro. Rev Peter Simpson resigned as Honorary Assistant Deacon at St Andrews Cathedral Inverness on 11 August 2018. He has moved to York. Rev Terence Harkin will retire as Priest in Charge at Priory Church of St Mary of Mount Carmel, South Queensferry and Emmanuel Church, Edinburgh on 14 October 2018. Rev Canon Dr Douglas Kornahrens will retire as Rector at Holy Cross, Edinburgh on 31 October 2018. Rev Albert Eric Kerrin died on 29 August 2018 aged 92. He served as an Assistant Curate at St John the Evangelist, Dumfries 1953-55. Served as Priest-in-Charge at St Columba, Newton with St Cuthbert, Cambuslang 1955-57. Was Rector at St Andrew, Alford 1957-69. In 1969 he was Curate-in-Charge at St John the Evangelist, Stranraer with St Ninian, Portpatrick until his retirement in 1991. He then served as a Non-Stipendiary Minister at St John the Evangelist, Stranraer with St Ninian, Portpatrick 1997-2001. In the recent weeks, the state of Kerala in India was subjected to severe destruction caused by unprecedented flooding. At least 350 people lost their lives, (there are many more that are not recorded) thousands watched their homes washed away in floods and landslides and thousands, particularly the poor people living in fragile houses in rural areas, lost everything they had, swept away. The Church of South India (CSI) and the other churches in the region have been actively engaged in rescue operations and in organising provisions of shelter and basic supplies to the displaced. Churches and their colleges and schools have been turned into emergency shelters and medical camps. Our colleagues and friends, who are priests and leaders of churches in these areas, are seeking the prayers and help of the global community as they continue their rescue and relief efforts for the affected people. The Rev Dr Hamilton Inbadas has communicated with priests in the CSI Central Kerala Diocese to establish the extent of the flooding and to find out what help is required. You can read his letter here. On Sunday 11 November 2018 there will be a global concert which will show that, one hundred years on, since the end of World War One, creativity, cooperation and peace will conquer conflict. The central concert will take place at Edinburgh Napier University’s Craiglockhart Campus, the site of a former military hospital for shell-shocked officers during World War One. Musicians from across the world will join the concert using modern technology and social media platforms, which will culminate in a synchronised performance of a specially commissioned piece, titled Armistice, at 4pm CET. The Most Rev Mark Strange, Bishop of Moray, Ross & Caithness and Primus of the Scottish Episcopal Church says “On 11 November 1918 the guns fell silent on the Western Front and for the first time in years the fear of noise, guns, bombs, aircraft began to lift from those who had lived through the horror of the First World War. I suspect for many music was one of the things that they had missed amongst the noise and turmoil of the trenches. 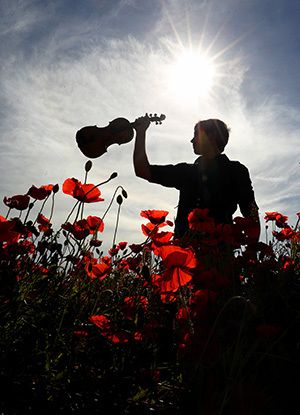 So it is fitting that on the 100th anniversary of the Armistice there should be this concert at Craiglockhart; and the sounds and emotions of music continuing to help bring a sense of peace for our world today and hope for peace for future generations." For more information, see the Napier University website here. The Board of Eco-Congregation Scotland would like to invite you to the induction service for the Rev David J.M. Coleman as Environmental Chaplain for on Saturday 8 September 2018 at 3pm in Augustine’s United Church, 41 George IV Bridge, Edinburgh. The service will be livestreamed here for those who wish to participate but who cannot attend. David is a United Reformed Church minister and a Member of the Iona Community, with experience in reflective photography, multimedia, and writing in the context of local church worship and mission. With a background including the grassroots interface of science and faith, David is looking forward to being part of the mission of Eco-Congregation Scotland at this challenging time of cultural transition and climate crisis. Worship material for Creation Time 2018 comes from an ecumenical writing group, with contributors from the Scottish Episcopal Church, the Church of Scotland, the Roman Catholic Church, the Salvation Army and the United Reformed Church. You can view, print, or download the resources for Creation Time 2018 here. 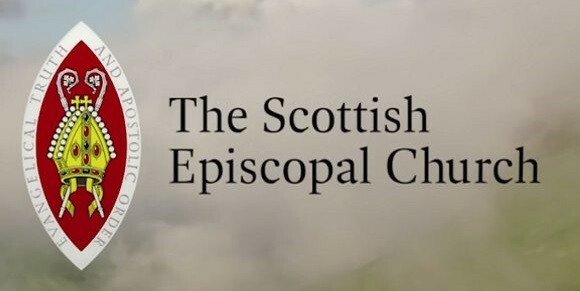 The September edition of the Scottish Episcopal Institute (SEI) Newsletter can be downloaded here. This year’s Lecture will be held on Thursday 11 October at 5.30pm in Parliament Hall, South Street, St Andrews. Professor Elaine Graham, Grosvenor Research Professor of Practical Theology, University of Chester and Canon Theologian of Chester Cathedral, will deliver a paper entitled ‘Liberating the Laity: a Theology for a Learning Church’. The Lecture, sponsored by the School of Divinity at St Andrews University, is open to all free of charge, and is followed by a reception. Celebrating 10 years of partnership with Malawi – will you join us for the next 10 years? For the last ten years Just Trading Scotland (JTS) have been working with rice farmers in Northern Malawi. In that time, we have been fortunate to develop a very close partnership with them and also to grow from a small group of fair traders into a much wider network of schools, churches and fair traders who are committed to support this amazing group of now over 7,000 members. This partnership has made such a difference to the lives of farmers in Karonga, as we saw on our recent visit in March. The fertility of their seed has improved; they have more access to ox-carts and ploughs. Yields are improving. More children are going to school and then on to college and university, something rarely heard of before. We are wanting to mark this year’s Harvest Thanksgiving with a very special celebration. We want to give thanks for all that has been achieved. The partnership between KASFA (the Kaporo Smallholder Farmers’ Association) and all the churches, schools, fair trade groups and supporters in our UK network has borne a very rich harvest. And we hope that you may be willing to join us as we develop the partnership over the next ten years. We want to celebrate this partnership as something that helps to bring justice and hope to smallholder farmers in Africa; and as something which inspires people here to work with the farmers for long-term solutions to their problems. So this, we hope, will also be an opportunity for your church to commit itself to the future of this partnership – please see this link for a number of ways of doing this. A new international photo exhibition, telling the story of people forced from their homes in Nigeria, Kenya and Iraq, will be on display in Falkirk in September. The exhibition consists of images telling the story of displaced people from Nigeria, Kenya and Iraq. Their lives are all different, but the stories are linked because all of them have been forced from their homes but remain within their national borders - and consequently are less likely to receive international support or assistance. This year, global negotiations are taking place to tackle the response to refugees and migrants. This exhibition aims to encourage people to join Christian Aid’s new campaign to ensure the rights of Internally displaced people are recognised by, not only the international community, but also the UK government. 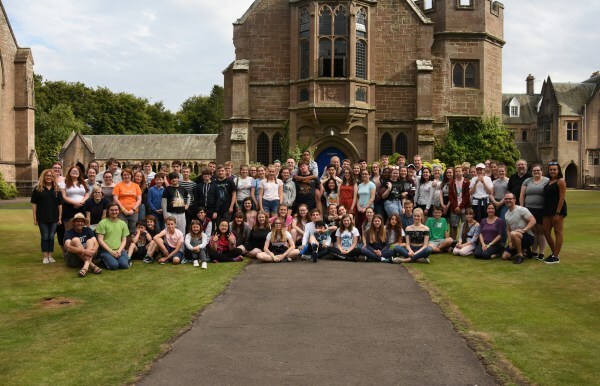 The Annual Provincial Youth Camp, held at Glenalmond College, aims to create a safe and comfortable environment for the delegates to grasp and grapple with their questions and therefore to grow in faith and love for one another. We’re not all called to be academic theologians – but we are all called to be brothers and sisters in Christ. The text in this newsletter can be freely shared. Any photographs can be shared only with permission of the photographer. Please contact press@scotland.anglican.org for details of permission. Please note that the views expressed on websites linked in this newsletter do not necessarily reflect the views or policies of the Scottish Episcopal Church.